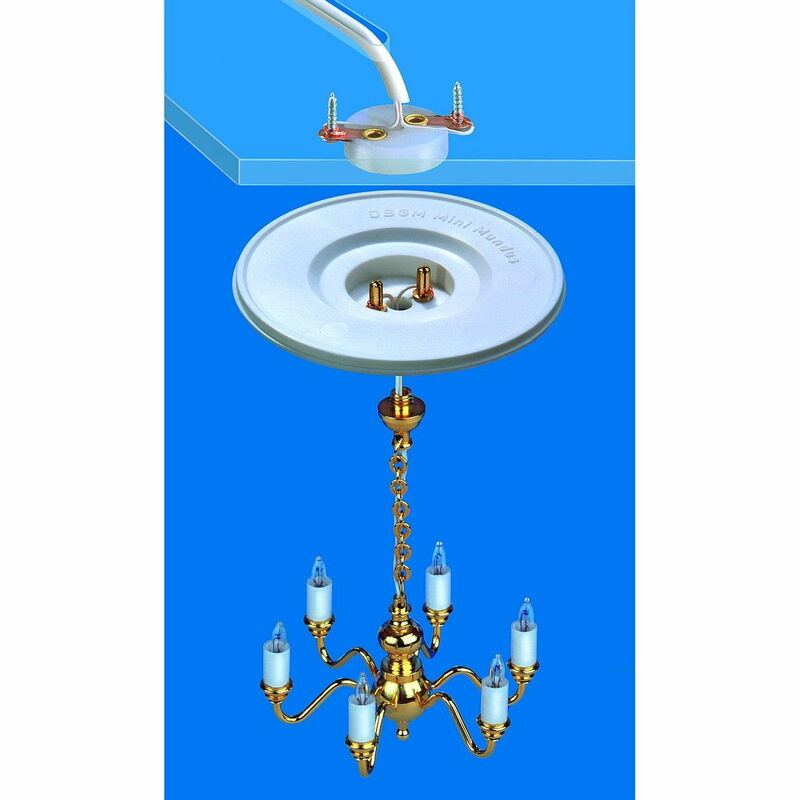 Patented connector system with integrated connector and additional ceiling outlet for fastening miniature ceiling lamps. 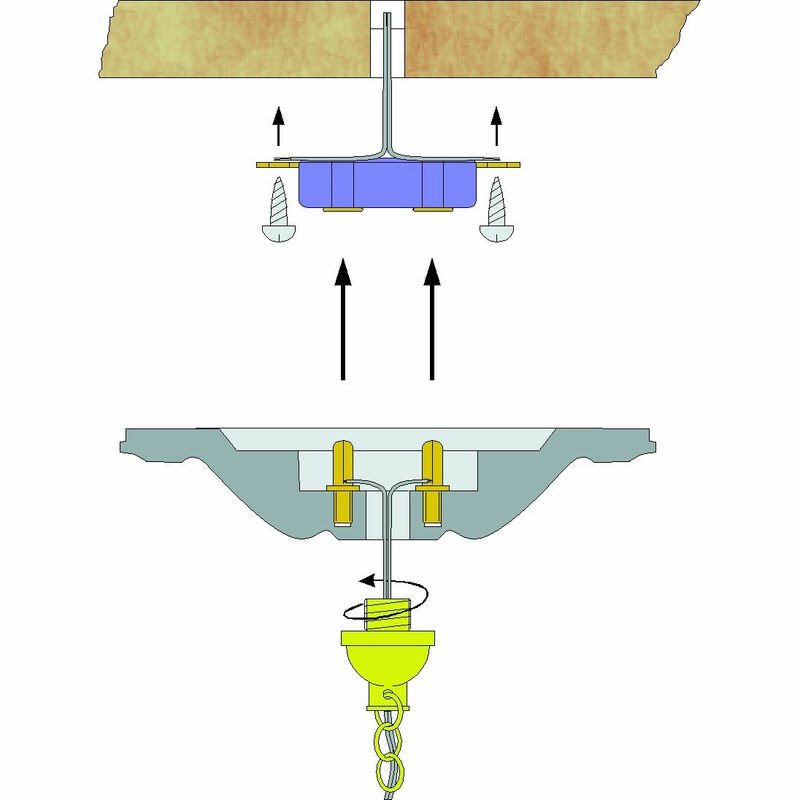 For lamps of the MiniLux series the canopy with thread (#21900) is additionally required. The gold plated lamps canopy with thread (picture 1 and 2) serves as a replacement for the standard canopy of the MiniLux lamps (picture 3). 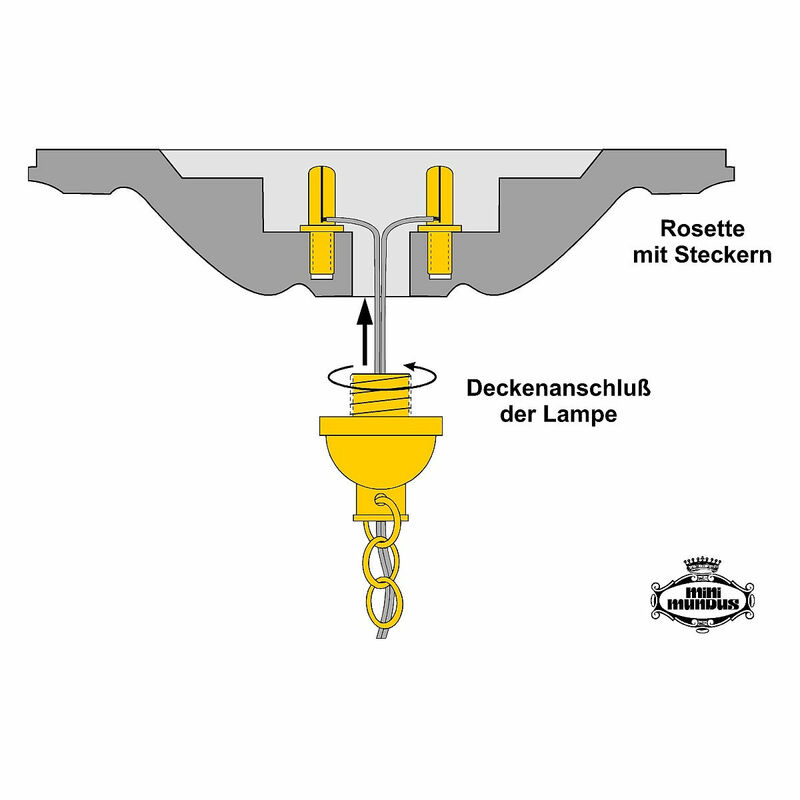 The lamp canopy is equipped with a screw thread, which lets the chandeliers be easily attached to our patented stucco rosettes with the integrated connector (22400, 22410, 22420). 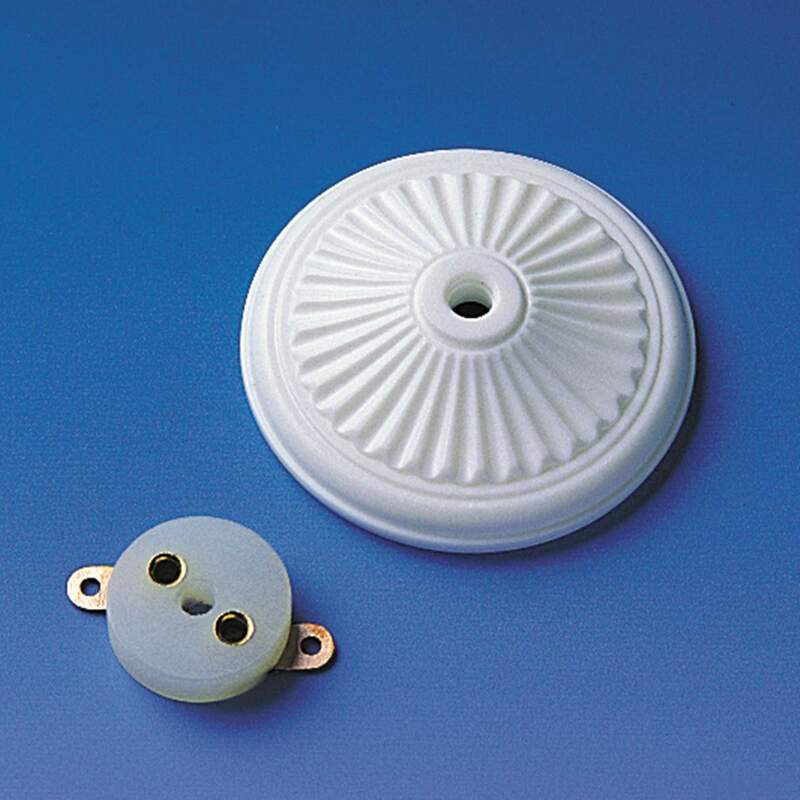 The stucco rosettes allows then to plug the chandelier - together with the rosettes - easily into a ceiling socket. The pictured rosettes and the chain are not included.